From the fast, crowded streets of Chicago to the mountain bike trails along the Cal-Sag, to flat land roads through the pastoral prairie, Illinois has much to offer bicyclists of all stripes. An icon in Chicago's vibrant cycling community, James Freeman is known by many simply as "Lawyer Jim." For many years, he has volunteered and worked with local bicycle advocacy organizations educating people about their rights and responsibilities. He gives regular "legal cycling" presentations to bike clubs throughout Illinois in an effort to educate cyclists about safety issues and how to handle collisions, assaults and accidents. Jim has over a decade of experience working for and against insurance companies. This experience gives him a tactical advantage over both the insurance companies and their defense attorneys. Uniquely, he also has many years of experience as a bicycle mechanic. True to his passion, Jim still enjoys "turning a wrench" in the shop occasionally. He teaches wheel building classes at West Town Bikes in Chicago where he is also on the Board of Directors. He is a member of the Illinois Trial Lawyers Association, the Chicago Bar Association, the Illinois State Bar Association and the Multi-Million Dollar Advocates Forum, a prestigious group of trial lawyers who have won multi-million dollar verdicts and settlements for their clients. 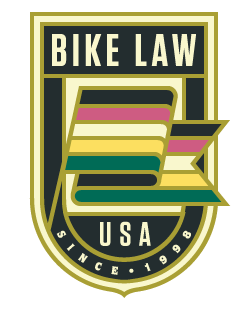 That case motivated Brendan, a life-long cyclist himself, to represent other bicyclists often treated unfairly on both the road and in the courtroom. In 2013, he joined Jim Freeman to form the Freeman Kevenides Law Firm. Strongly connected to Chicago’s vibrant cycling community, Brendan consistently offers time and resources to local bicycle clubs and organizations. He is a certified bicycle instructor by the League of American Bicyclists (LCI #3732), a member of the Chicago Cycling Club’s steering committee and a member of the Active Transportation Alliance's advisory committee. He is a regular rider during Critical Mass, The Chicago Ride of Silence and other popular cycling events. It only takes a minute to fill out our Bicycle Crash Report Form.